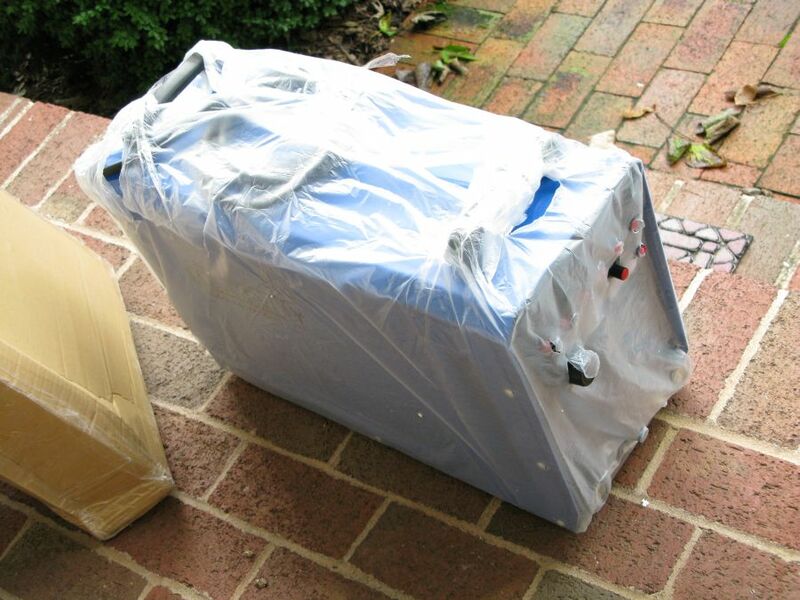 I received my IGBT WeldAll LS-200PI Multi-Process welder/cutter today. I wanted to show how it was packed, show how I hooked up the power cable, and give a short review of this impressive machine. 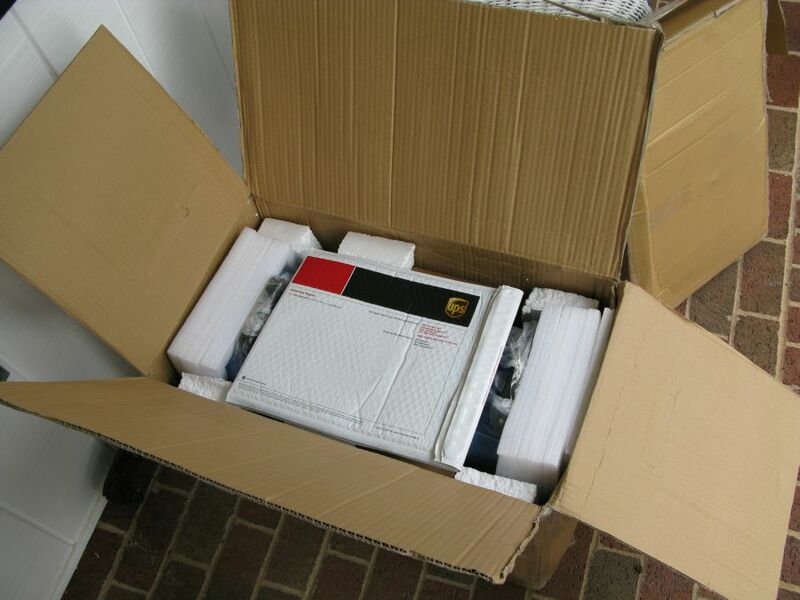 Here's how it looked after UPS dropped it off. The top box contains the accessories. 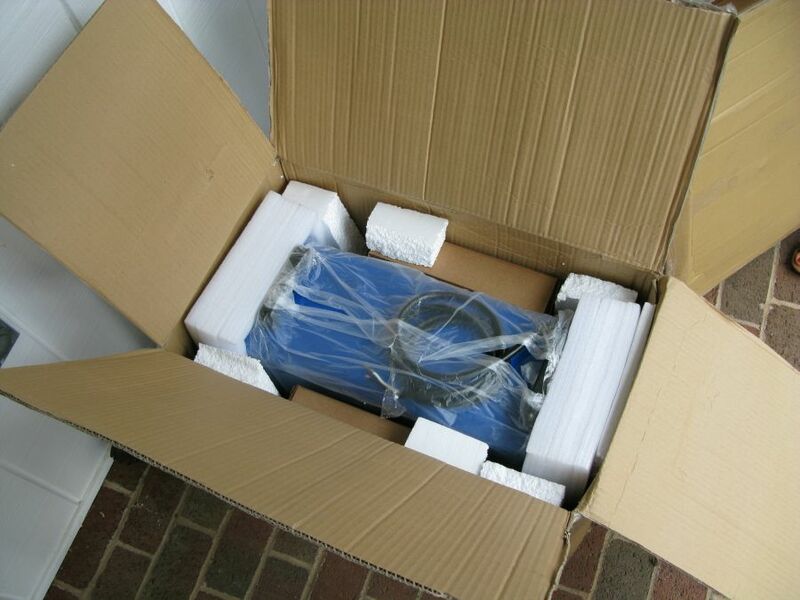 Here's how the LS-200PI was packed. It's a good idea to keep the box and packing for moving day. The only issue I had with shipping was the large front air/gas regulator knob was loose. 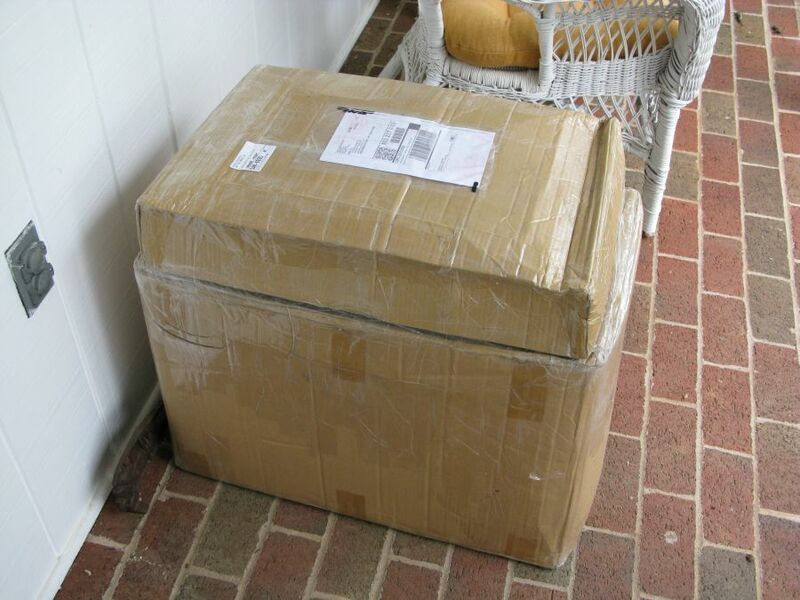 It may have been that way on purpose to keep it from protruding too much and being damaged during shipping. I had trouble tightening the exterior lock nut without actually rotating the whole regulator so I removed all the screws on the top cover, pulled the cover off and tightened up the lock nut. The knob wasn't damaged, just loose. After pulling the cover I realized that all I really needed to do was push in the regulator knob to lock it, hold the knob then tighten the lock nut as tight as possible by hand. So opening the case wasn't really necessary. 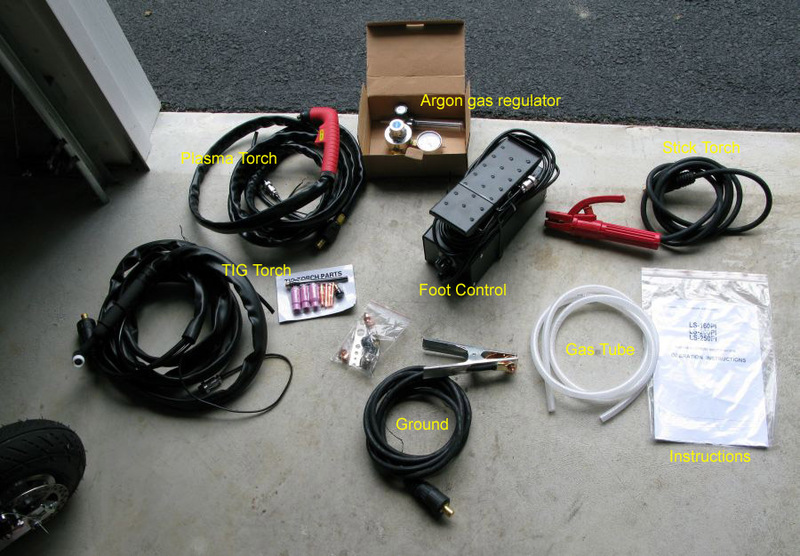 Not included with the welder but needed are: a 240 volt power cord plug, electrodes for stick welding, and for TIG welding Tungsten electrodes, filler rods and a tank of Argon gas. The tank pictured below is 80 cubic feet in size and cost $230--$160 for the tank and $70 for the gas. Twenty, 40, 60 and larger tanks are available from your welding supply store. To find a local welding store just do a Google search for, "your home town welding supply." Everything needed for plasma cutting comes with the welder. Here's a good look at the front panel. Here it is in a standard Harbor Freight welding cart. Here's how I set up a standard air-chuck quick disconnect so I can easily go from compressed air for plasma cutting to Argon gas for TIG welding. Notice the large cooling fan and the dual-throw On/Off switch. 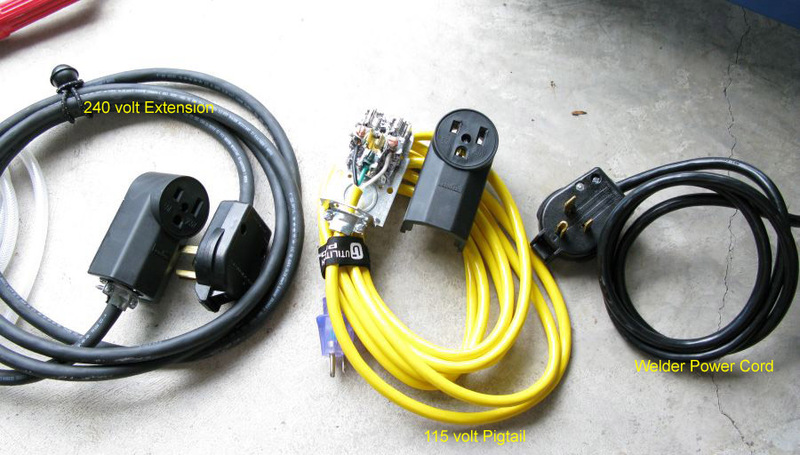 Here's the power cord on the right and a 115 volt conversion cord (pigtail) on the left. 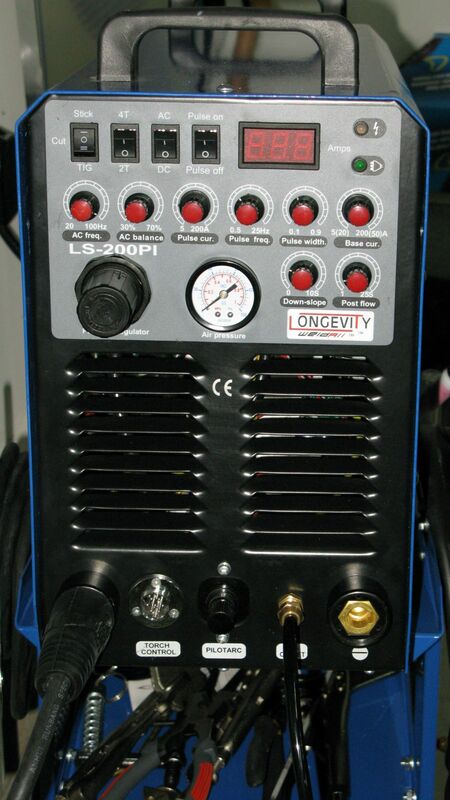 The LS-200PI is not a dual voltage welder and will not function with this 115 volt pigtail. The welder's power cord appears to be a 10/3 (10 gauge 3 wire) stranded wire cord. For both cords it's very important to connect the green ground wire to the ground pin. 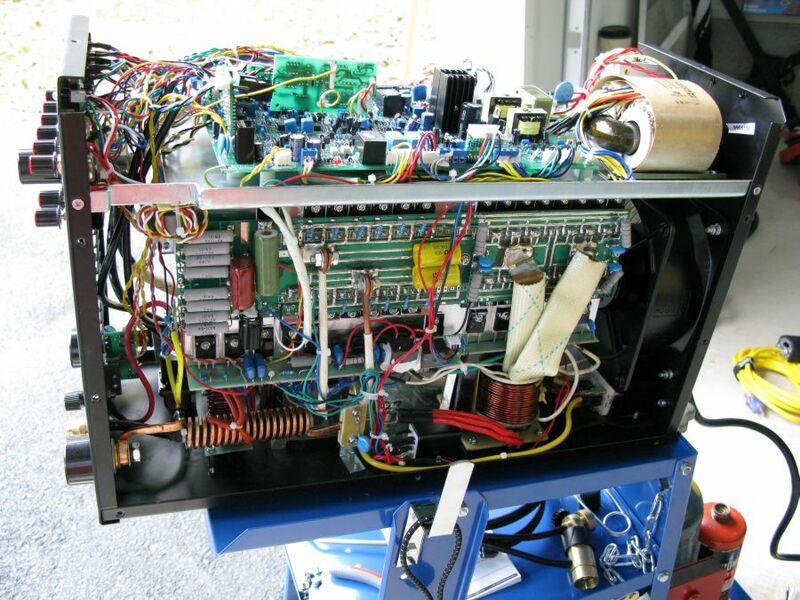 The LS-200PI's green ground wire is connected directly to the machine's chassis. For both cords I connected the black wire to the narrow blade, and the white wire to the wide blade. The LS-200PI did not come with a power cord plug. There are too many types of 240v plugs so they just let you pick the one you need. Just purchase the 240v plug that matches your receptacle. I picked mine up at Home Depot for $13. 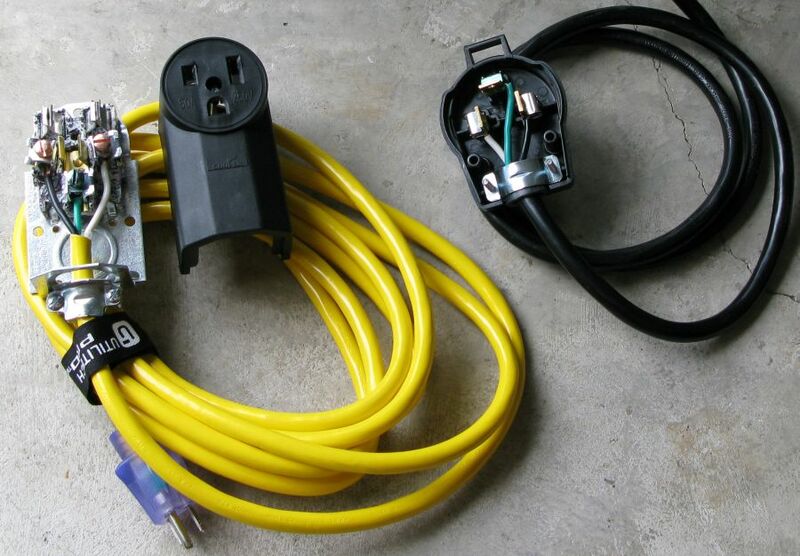 Make sure your plug is rated for at least 220 volts and 40 amps like the plugs below. Here's another shot of the cords including a 240 volt extension cord I made on the left. 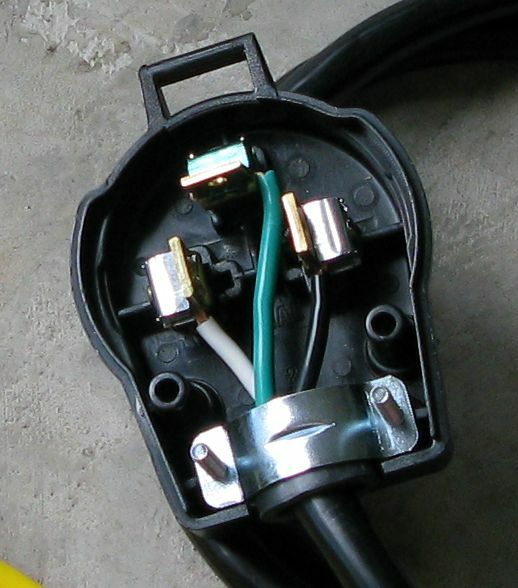 Here's a close-up of the power cord 240v plug. While I had the cover off to tighten up the regulator knob I took a few pics. After attaching the 240v power cord plug and hooking up the Argon I was almost ready to weld. I started the assembly of the TIG torch by sharpening an electrode using the side of my grinding wheel. The side of the grinding wheel has never been used before so it won't contaminate the electrode. I matched up the electrode to the correct size collet (three sizes are supplied), pushed the electrode into the collet, then slid the collet into the torch. I screwed on the # 6 gas lens and slid the electrode out so it extended about 3/16 of an inch beyond the gas lens. I then screwed the electrode cap over the electrode and gently tightened it down finger tight to secure the electrode. The TIG torch before assembly. First a disclaimer: I'm a novice welder with only a little MIG wire feed welding experience. With that said, I set the controls for TIG DC, non-pulse, and minimum Base current. I opened the Argon gas shutoff knob and opened the gas regulator a little, pressed the TIG torch control and adjusted the gas flow to 18 CFH. During this adjustment the air was purged out of the torch gas line. I started welding on scrap 1/8 inch steel and was surprised that I was able to control the TIG arc as well as I did right from the start. I could also see much better while TIG welding as compared to MIG. While MIG welding I have always had difficulty seeing anything even when using a nice auto-darkening welding helmet. I am happy to confirm the pulse mode on the LS-200PI works in both the DC and AC modes--just like the big-dollar rigs. AC pulse is a really nice, high-end feature. When pulse mode is on the amp indicator bounces back and forth between Base and Pulse current. I turned the Pulse frequency down to it's lowest setting, one cycle every two seconds, so I could read the Base and Pulse (peak) amps, making it easy to adjust both. Once the two current settings were made I then set the Pulse Frequency where desired. You can also set pulse mode power by setting the Pulse current knob to full left, then set the Base current, then set the Pulse (peak) amps. 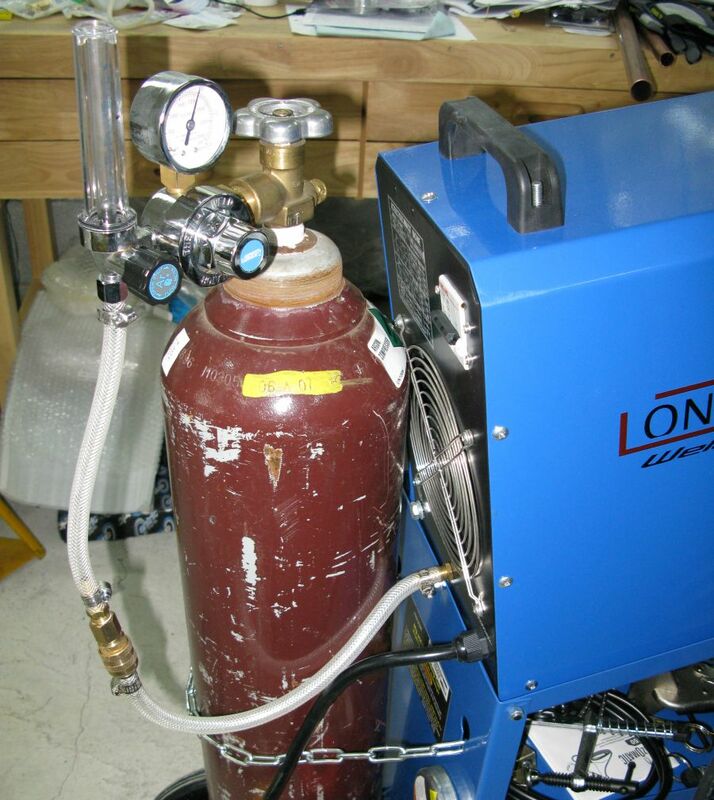 Note the front panel regulator controls air and gas flow so set it for 65 psi air pressure then set the Argon gas flow using the regulator on the gas bottle to around 18 CFH (cubic feet per hour). I tried out stick welding for the first time and was pleasantly surprised I didn't set fire to my garage. I used the plasma cutter on the scrap metal and it sliced through it like butter--very nice. 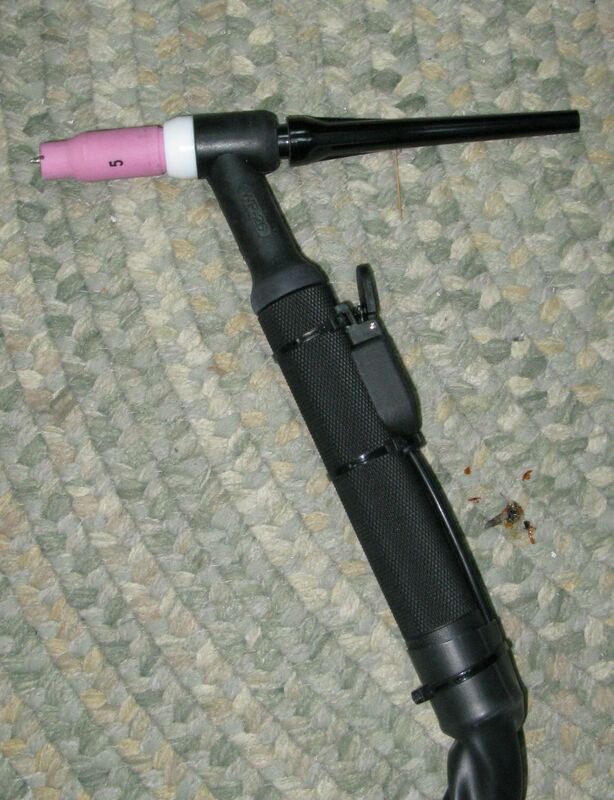 A clip-on torch spacer is included which helps you keep the torch at the right distance from the metal. It was good to see the plasma tip had been used before shipping--Longevity did test this machine before they shipped it out. So far I'm very pleased with the build quality and function of this multi-process welder. I'm also impressed with the torches and ground clamp--they're very nice quality pieces. 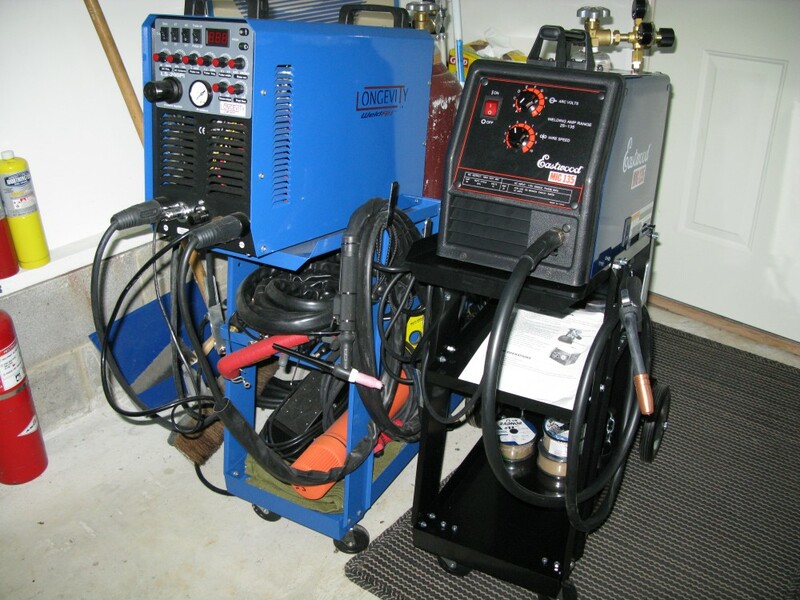 When you consider all you get for your money this welder/cutter is a fantastic value. After a few weeks of use I'm still in love with this welder/cutter. Power Switch. Dual throw switch is located on the back of the unit. When finished welding or cutting always let the machine's fan run for a minute or two to cool the machine before turning the power switch off. Power Lamp. This light illuminates while the unit is powered on. Over Current/Overheat Warning Lamp. (lightning bolt) Illuminates when the duty cycle has been exceeded or the machine has overheated due to improper ventilation. Discontinue use until lamp goes out. Allow the fan to continue to run. Once lamp goes out, you may resume using the unit. Digital Display. The display shows the approximate welding amps. Three Position Function Switch. Selects Stick welding, plasma Cutting, or TIG welding. AC/DC Switch. Use AC for Aluminum and Magnesium, DC for all other weldable metals and plasma cutting. Base cur. 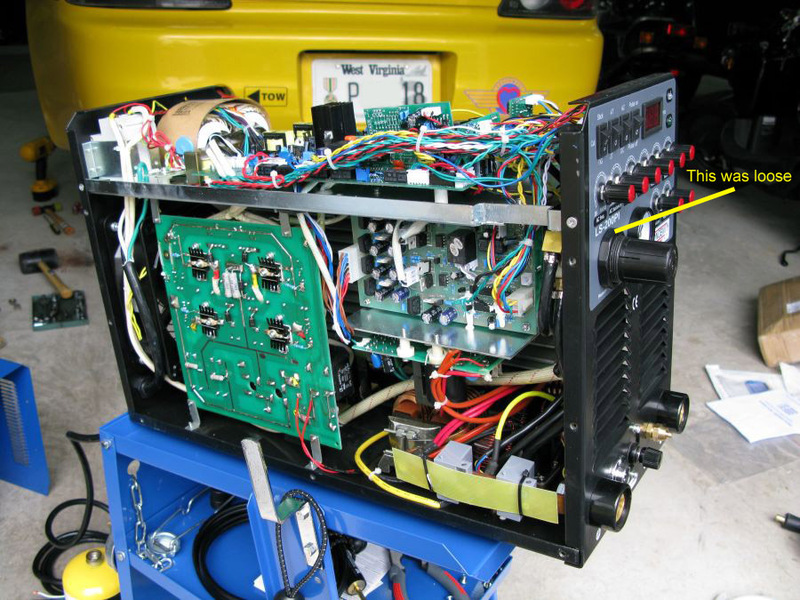 (Base Current 5-200 amps welding, 20-50 amps plasma cutting) This is the primary AC & DC amperage control. Welding & cutting amperage is set using this control in the non-pulse mode. In the TIG pulse mode this knob sets the base current (low) amperage. For TIG pulse welding, first set the Pulse current knob full left, then set the desired base current (low amperage) using the Base current knob. The digital display will show the amp setting. Next use the Pulse current control to set the high amperage of the high pulse cycle. As you turn the Pulse current control to the right the digital display will increase, showing your pulse peak amps. Foot Control. The Foot Control overrides the Base current knob--the Base current knob does not function when the Foot Control is plugged into the machine. When the Foot Control is pressed the welding current starts and increases with more pedal movement. In the pulse mode the Foot Control changes both the base (low) amps and pulse (high) amps, just as turning the Base current knob would. The Foot Control Knob can be used to reduce the maximum current allowed by the Foot Control. 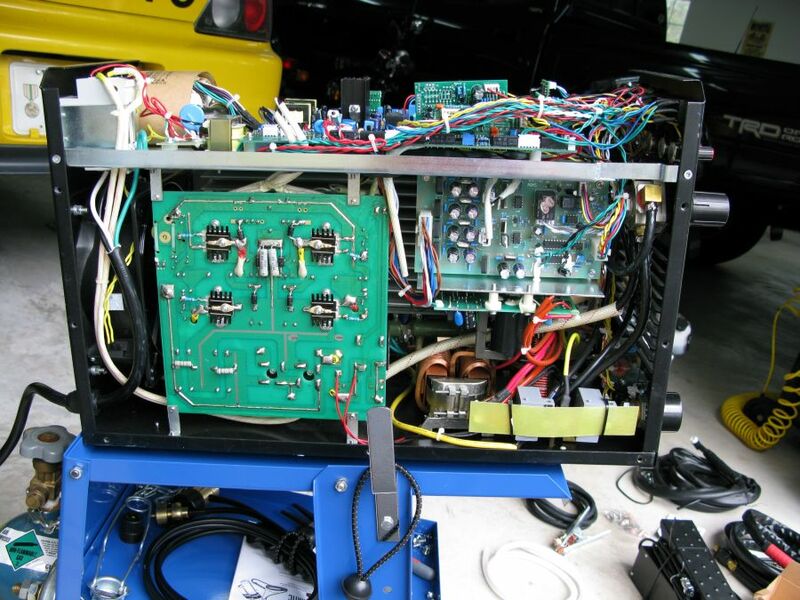 Placing the knob to the 5 position will limit the maximum amps to approximately 20 amps, the 6 position approximately 50 amps, 7 about 90 amps, 8 about 150, and the 9 position 200 amps. This allows the Foot Control to be less sensitive--full pedal movement will go from 5 to 100 amps welding current instead of 5 to 200 amps. Pulse On/Off Switch. 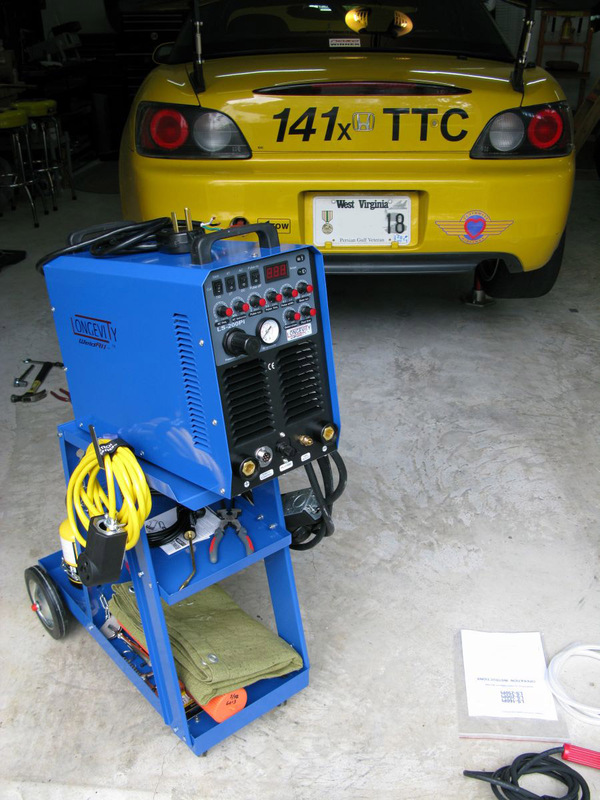 Enables pulsed AC and DC TIG welding. Pulse welding is an advanced welding technique and allows fine control over the welding process. Unless you really know what you're doing leave pulse mode off. Pulse mode gives the same effect as quickly moving the Base current knob back and forth between a low and high amp setting while welding but at a rate that would be impossible to do by hand. To set the high and low pulse currents, first set the Pulse current knob full left, then set the desired base current (low amperage) using the Base current knob. The digital display will show the amp setting. Next use the Pulse current control to set the high amperage of the high pulse cycle. As you turn the Pulse current control to the right the digital display will increase, showing your pulse peak amps. Pulse cur. (Pulse Current 5-200 amps) Only active in pulse mode. Sets the pulse peak (high) amperage of the pulse cycle. Select the peak amperage with this control to achieve the maximum amperage requirements for the high pulse cycle. The amperage change will be reflected on the digital display. Pulse freq. (Pulse Frequency 0.5-25 cycles per second) Only active in pulse mode. The TIG pulse frequency controls the number of pulse cycles per second (Hz). Changing the frequency sets the duration of each pulse cycle. The lower the frequency the longer the pulse. A higher pulse frequency will give a shorter pulse cycle. This allows for fine control of heat input into the base metal. Pulse width. (0.1 to 0.9 or 10-90%) Only active in pulse mode. This TIG pulse control adjusts the relative amount of time the pulse spends in the peak (high) current stage during a pulse cycle. For example a control knob setting of 90% or .9 will give you 90% of the time in the peak (high) current stage and 10% in the base (low) current stage of the pulse cycle. Note: The Pulse width does not control the overall length of the pulse. The Pulse frequency sets the cycle length, thereby determining the overall length of each leg of the cycle. Down-slope time. (0-10 seconds) The Down slope time controls the end cycle of the weld by slowly ramping down the welding current. As the end of the weld is reached and the torch trigger is released, the down slope helps prevent weld cracking and hole formation in the crater. AC freq. (Alternating Current Frequency 20-100 cycles per second) Only active in AC mode. This AC TIG & Stick control adjusts the arc frequency. Setting high frequency narrows the welding arc making it more directional and increasing penetration. Lower frequency widens the arc and shallows the welding puddle. AC balance. (30-70%) Only active in AC mode. This AC TIG & Stick control determines the amount of time the AC cycle spends in DCEN (Direct Current Electrode Negative -) or DCEP (DC Electrode Positive +). More DCEP is preferred for cleaning oxidation, particularly in aluminum. More DCEN is preferred for better penetration and faster travel speed. A 50% setting equalizes the time spent in both. A 30% setting is a good starting point. A higher AC balance setting will clean the weld more but put more heat into the electrode, reduce this setting if you melt the electrode. For higher AC balance settings use a thicker electrode to keep it from melting. Post flow. (1-25 seconds) This timer controls the flow of shielding gas after the TIG weld arc is terminated. Too little post flow time can cause weld contamination or torch overheating. During plasma cutting Post Flow allows for cooling air to flow after terminating the arc. Keep the TIG torch in position over the weld until the post flow ends. Five seconds for plasma cutting and 5 to 10 seconds for TIG welding is a recommended starting point. 4T/2T Switch. This switch selects for control of the TIG weld cycle via the TIG torch trigger. 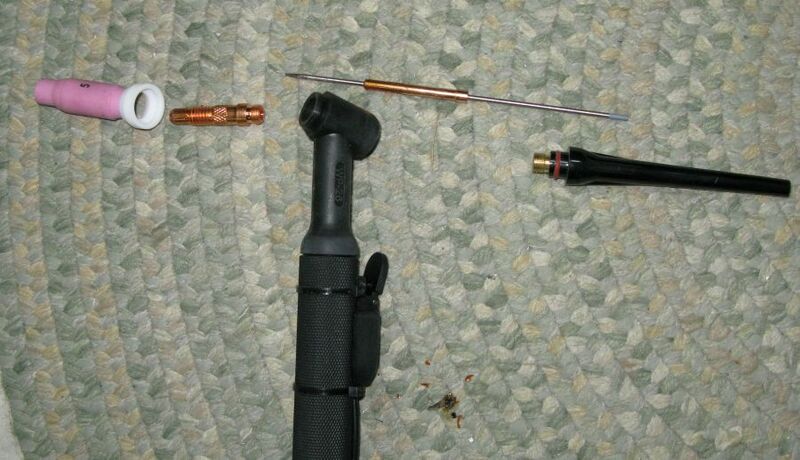 In the 2T mode, simply touch and hold the trigger to start the arc and continue holding while welding. Release the trigger to finish. In the 4T mode each push of the trigger toggles between on and off (push and release trigger once to start, push and release once to stop welding). Pressure Regulator. Pull the knob out to unlock, then turn left to decrease Argon/air flow, right to increase flow. Both pressurized air for plasma cutting and Argon gas for welding are affected by this knob. Set to approximately 65 psi air pressure for plasma cutting and push the knob in to lock it. Then adjust the Argon regulator on the gas bottle to control gas flow for TIG welding and you should be set for both plasma cutting and TIG welding. + The ground clamp is normally connected to this terminal. - The torch (TIG, Stick or Plasma Cutter) is normally connected to this terminal, but the + and - connectors can be reversed for DCEP (Direct Current Electrode Positive +) stick welding. Torch Control. The torch control connector or the Foot Control connector attaches to this receptacle. Pilot Arc. The plasma torch's pilot arc wire connects here. Gas Outlet. The TIG and plasma torch's gas/air line connect to this receptacle. Gas Inlet. (back of unit) Compressed air for the plasma torch and Argon gas for TIG welding are fed into the machine using this barbed hose receptacle.